I hope that your weekend was wonderful and that you’re rested and rejuvenated for the coming week! 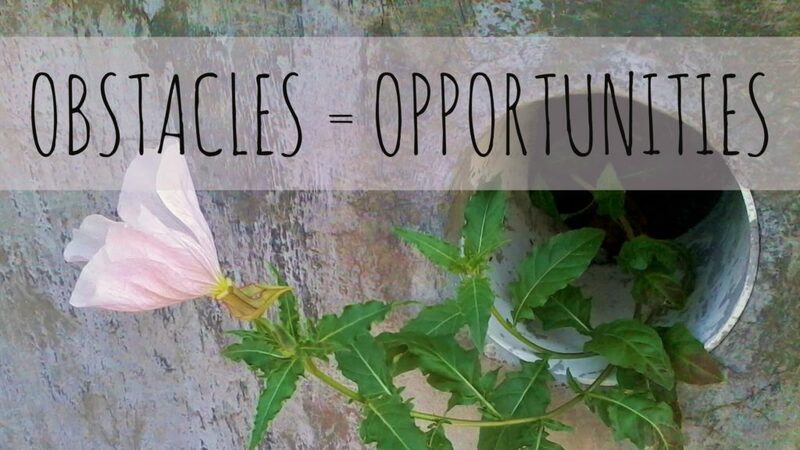 This eve, I wanted to chat about a different way to look at the obstacles in our lives. When I say, “obstacles,” what I really mean is anything that seems to be standing in the way of you and your goals. Challenges. The tough stuff. The stuff that can throw you off track, OR actually be used to propel you forward .. These can be the largest and most life-changingest of goals, such as adopting a new exercise routine, a different schedule that supports a healthier lifestyle (like, getting adequate sleep, for example! ), or changing your nutrition habits to align yourself with how you want to feel and the energy you desire to have. These can also be the seemingly simplest of goals as well, such as simply wanting to “have a good day,” to not eat any extra sweets/junk food today, to go out for a 15-minute walk tomorrow morning before the day and week starts. Whenever we have a set expectation or intention in mind, there are sure to be things along our way that don’t match up with or align with that vision. The way I see it, every challenge or obstacle is an opportunity for propulsion in the direction of your vision and goals. Sure, they can be (and usually are) frustrating. But if we can stop for a few moments when a fresh obstacle arises, we can turn it on its head and look for the benefit within it. For example, in the smaller goals I listed above, let’s say you’re wanting to have a good day – that is your intention. Want to have a good Monday? Okay, let’s do it. But then the coffee maker decided to stop working. ON A MONDAY MORNING. Alright, well, time to adjust and leave a few minutes early and appreciate and enjoy picking up a cup from the coffeeshop on the way in to work. Want to not eat any extra sweets or junk food today? Alright, sounds like a wonderful goal! But then a coworker brought in donuts or chocolate for everyone. Ooh, tempting …… Why did they do this on the day you decided to NOT eat them!? What a great opportunity for you to win yourself over and stick to your intention – further strengthening your self-control and drive in all areas of your life – not to mention your self confidence in doing so! Both of these scenarios provide both the opportunity for frustration and the opportunity for creativity, joy, and self-control. There’s always a silver lining. There’s always an opportunity for growth. What can we learn from everything everyday? We have the power to make any situation whatever we want it to be, if we stop for a moment, think, and CHOOSE how to respond, instead of giving in to the knee-jerk programmed reaction we may have been working from for the past however long (insert amount of time here).